What makes Inner Quest golf club fitting different? We will find your exact frequency or CPM for each one of your clubs. This will ensure that all your clubs fit you and not just some. Next, we build you a demo driver and 6 iron fit to your specifications. We welcome you to compare head to head against any other product or fitting recommendation at their shop or ours. We are so sure our process will help you that we don’t charge you. 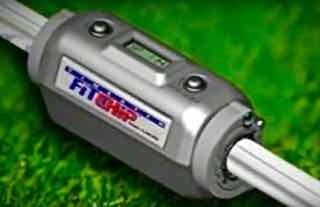 Time and time again we have proven that flex fitted shafts are the main obstacle working against golfers playing better. Why do so many manufactures, sports stores, golf stores and even custom pro shops still use flexes like LL, L, A, R, S, X or gender classified shafts to fit their customers? The answer is simple, many don’t have the understanding to build anything. This is a remedial approach to a fit, and can be easier to explain to customers. The main objective is to push out their innovatory or up sell you on something they say is better. Do you remember demo days? We would go to the local range and all the club brands would be telling you why they are better for you; Then, after hitting balls with a hand full of clubs, you would decide on the one that gave you the best results. Not much has changed, but now these same stores have launch monitors to show you stats for each club brand you test. One problem, this is not a custom fitting. It is a process of elimination based on their inventory. Now it’s just a “high tech demo days”. Please understand the only way to find a shafts true flex is through CPM. This video is an example of what can happen even if you pay more for an upgraded shaft.